At Wilson Reeder & Zudar, we are absolutely committed to giving our clients the best possible legal services. Two of our partners are Board Certified in Civil Trial Law meaning that in the event your case goes all the way to a trial, you will have an expert trial attorney in your corner. Our attorneys have tried well over 100 cases and have arbitrated numerous cases to excellent results. Although the firm was established in 2018, the attorneys have been together for many years helping homeowners fight insurance companies, builders and subcontractors. Our attorneys were part of the largest sinkhole firm in the state until 2015 and then beginning in 2015 founded a firm focused on construction defect issues. Now, the attorneys that did the vast majority of the construction defect work have gone out on their own to provide excellent service to homeowners in need of representation. 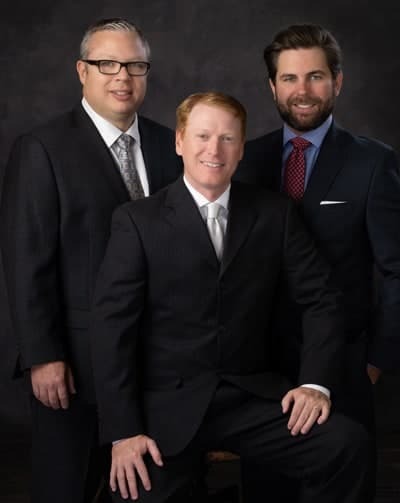 Our attorneys have over 40 years of combined experience and are all AV Rated by Martindale-Hubbell, the highest rating available for ethics and professionalism. A large portion of our practice is devoted to stucco litigation. The attorneys at Wilson Reeder & Zudar have pioneered this area of law and have resolved hundreds of cases for homeowners who have suffered from water intrusion and unsightly cracks in their stucco. Our attorneys have also helped advance the law in this important field by prevailing in several appeals which have protected homeowners’ rights. If you want attorneys who are knowledgable, experienced and will not hesitate to bring your case to a jury or an arbitrator, Wilson Reeder & Zudar is the firm for you.